01. 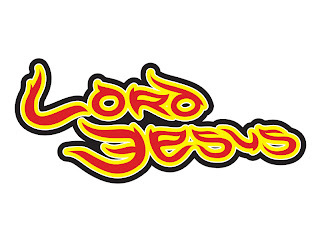 Jesus Christ, who not only taught that impossible does not exist, but also demonstrated it by walking on water, multiplying bread and resurrecting the dead. 02. 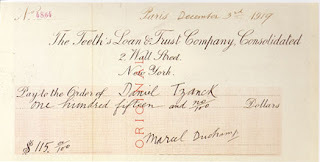 The famous 115 dollar "Tzanck check", which Marcel Duchamp paid his dentist with in 1919. 03. 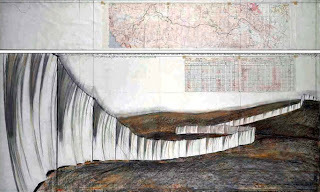 Christo collecting funds with his cool sight-plans for his mega-expensive giga-artworks. 04. 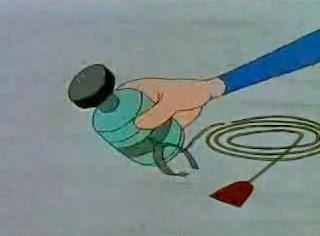 "Magic Pencil" the polish cartoon in which the drawings of the little boy came true. Here is an episode on youtube. 05. The "million dollar homepage", that earned more than a million dollars for a guy in a very short time. 06. 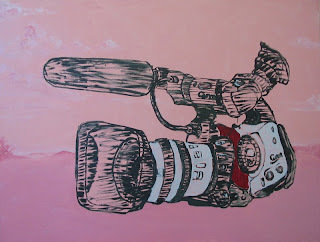 "Canon XL1" 170x130 cm oil painting of Erik Mátrai, on sale for a Canon XL1 camera, or the it’s current price. 07. 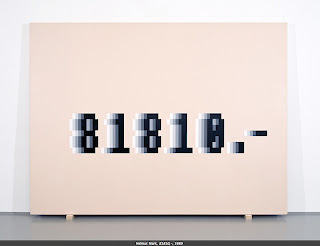 The bill by Csaba Uglár, we quickly bought of it for 5000 forints ourselves. 08. We found this one on the Viennafair homepage a week ago: Helmut Mark, who painted only the selling price presumably on his pictures in the 80’s.